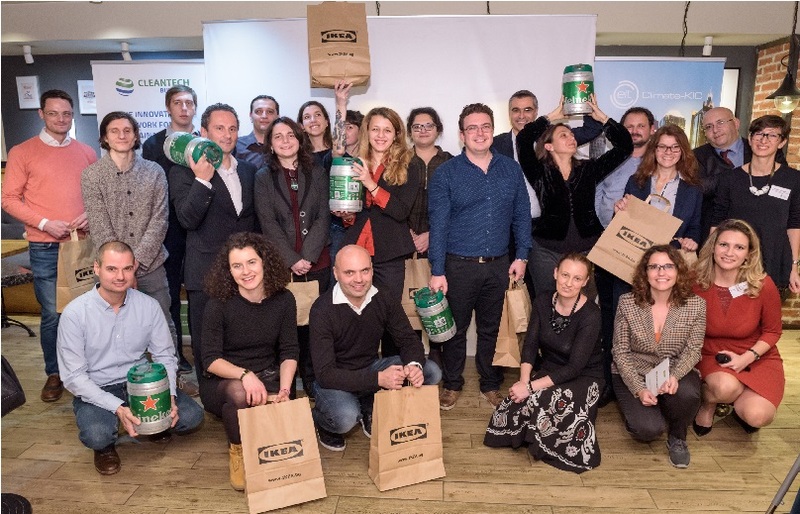 On the 27th of November 2018 the annual gala-event of Cleantech Bulgaria’s club for sustainable growth – Green Business Network Bulgaria was held. 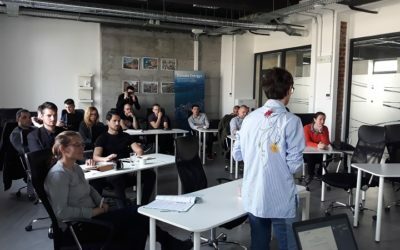 During the event the 8 startups which completed the third edition of the most successful European accelerator programme for the development of clean technology, sustainable business solutions and climate innovation of Cleantech Bulgaria and Climate-KIC. During the programme, the startups received financial support of up to 50,000EUR, intensive training and international mentorship. AgroBomb demonstrated how biotechnology can provide an alternative to chemical fertilizer in order to help agricultural producers to produce clean food with increased yields. LAM‘ON demonstated a working and accessible solution for the printing industry; Diesel Express Tester demonstrated their tool, which prevents a lot of damage from the use of low-quality diesel in agriculture, while Hyperfold presented their technology with which they develop accessories for food and beverage storage, at the same time an alternative to large-scale packaging. Rivus with their highly efficient water saving nozzles for the hotel industry. Up until now Climate-KIC Accelerator and Cleantech Bulgaria have supported 24 innovative business solutions, and only in the past two years, the companies have attracted over BGN 1 000 000 of external investments and sales. 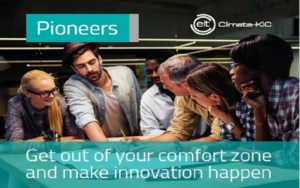 Climate-KIC Accelerator network comprises of organizations running the programme in 24 EU countries, thus giving aspiring entrepreneurs a unique international environment and exposure to mentors and investors. The application for the programme’s 2019 edition is open here: https://www.climate-kic.org/ris/accelerator до 13.01.2019. The gala-event of the business club for sustainable development of Cleantech Bulgaria – Green Business Network, gathered tens of representative of leading Bulgarian companies, investors and public institutions. At the event IKEA Bulgaria, Zagorka and Geographica Ltd. received corporate profiles for sustainability, created by Cleantech Bulgaria, as a communication tool for the analysis of the companies’ efforts in sustainable development from a strategic and operational perspective. The method of profiling is adapted to the climate footprint approach of the largest climate innovation community in Europe, Climate-KIC, and thus, provides Bulgarian companies with the opportunity to structure their efforts in a manner used and recognized throughout the whole of Europe. The Executive Director of Geography Ltd, Mrs. Ventsislava Chepisheva, shared with the audience her successful experience in the development of innovative products delivering sustainability through the introduction of digitization in traditional industries. Thanks to the company’s interaction with the start-up company CRISTA from the Accelerator of Cleantech Bulgaria and Climate-KIC, Bulgarian insurers can now benefit from a new generation of climate risk management products. During the award ceremony, Mrs. Joana Tsoneva, marketing director of House Market Bulgaria Ltd., stressed that through the IKEA sustainability “People & Planet”, the company pledges to remove all disposable plastic products by 2020 and by 2030 the products of the brand will be designed according to the principles of the circular economy, with the use of renewable and recycled materials for their production. 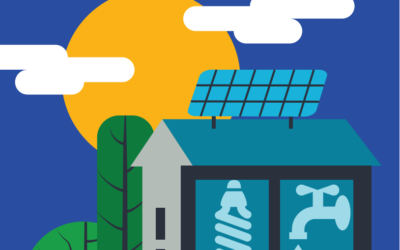 This year, IKEA Bulgaria, in partnership with Cleantech Bulgaria, took the first steps towards this vision by focusing on building internal capacity for a transformation into circular business processes.